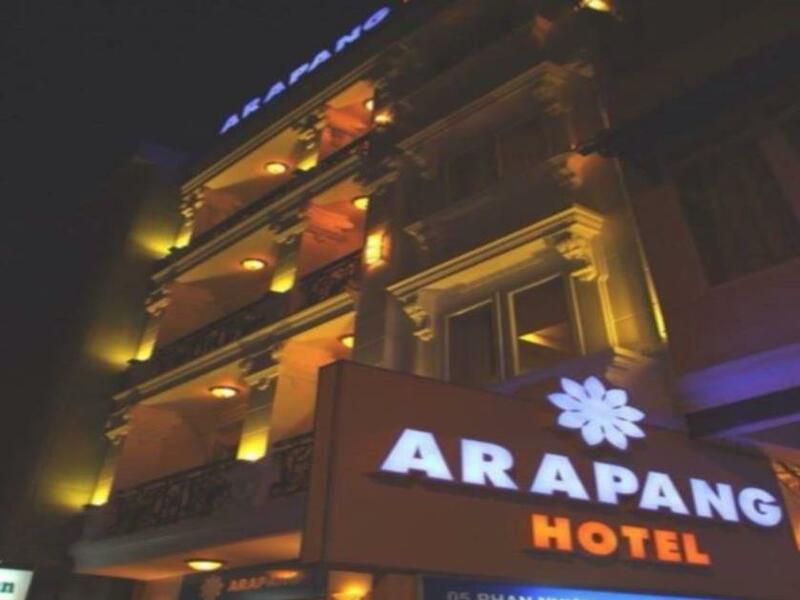 Στην περιοχή Νταλάτ Σίτι Σέντερ, το Arapang Hotel αποτελεί ιδανικό σημείο για να εξερευνήσετε την πόλη Dalat και τα περίχωρα. Από εδώ, οι επισκέπτες μπορούν να έχουν άμεση πρόσβαση σε όλα όσα η πόλη έχει να προσφέρει. Με την βολική του τοποθεσία, το ξενοδοχείο προσφέρει εύκολη πρόσβαση στους προορισμούς της πόλης που πρέπει οπωσδήποτε να δείτε. Επωφεληθείτε από ένα πλήθος ασυναγώνιστων υπηρεσιών και ανέσεων σε αυτό το ξενοδοχείο της Dalat. Το ξενοδοχείο σας προσφέρει μια μεγάλη επιλογή υπηρεσιών, συμπεριλαμβανομένων των δωρεάν WiFi σε όλα τα δωμάτια, 24ωρη ρεσεψιόν, ασύρματη σύνδεση Wi-Fi σε δημόσιους χώρους, οικογενειακό δωμάτιο, ενοικίαση αυτοκινήτου. Απολαύστε ανέσεις υψηλών προδιαγραφών κατά τη διαμονή σας. Ορισμένα δωμάτια περιλαμβάνουν καθρέφτης, ασύρματη σύνδεση internet (δωρεάν), γραφείο, μίνι μπαρ, μπαλκόνι/αίθριο - ό,τι πρέπει για να αναζωογονηθείτε μετά από μια γεμάτη μέρα. Κατά τη διάρκεια της μέρας μπορείτε να απολαύσετε την χαλαρωτική ατμόσφαιρα των γήπεδο γκολφ (σε απόσταση 3χλμ.). Όποιος κι αν είναι ο σκοπός της επίσκεψης σας, το Arapang Hotel είναι μια εξαιρετική επιλογή για την διαμονή σας στη Dalat. Staff got drunk the first night and locked the front door so we couldn't go out to have a meal at midnight (We arrived in the city at 10:00 PM). Other than that, our experience was good. 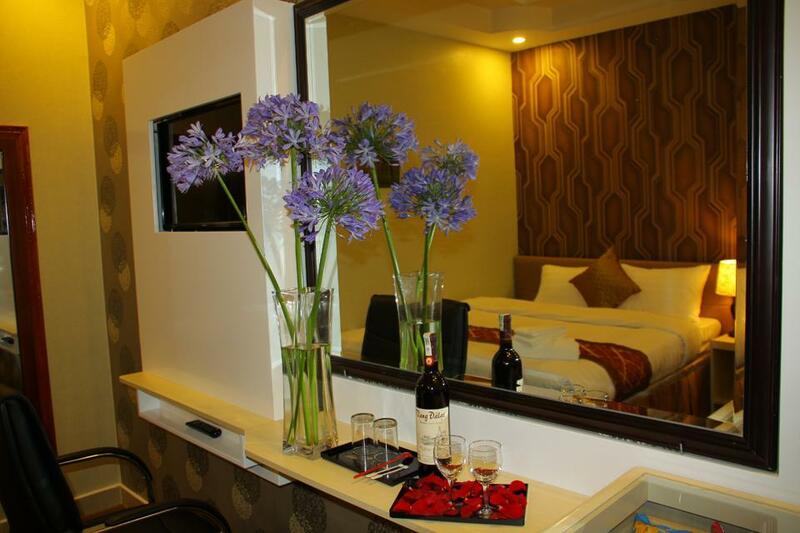 I arrived in the early morning around 7am and the host was so kindly let me check in early without any extra charge. My room has small and no window but good enough for a couple. 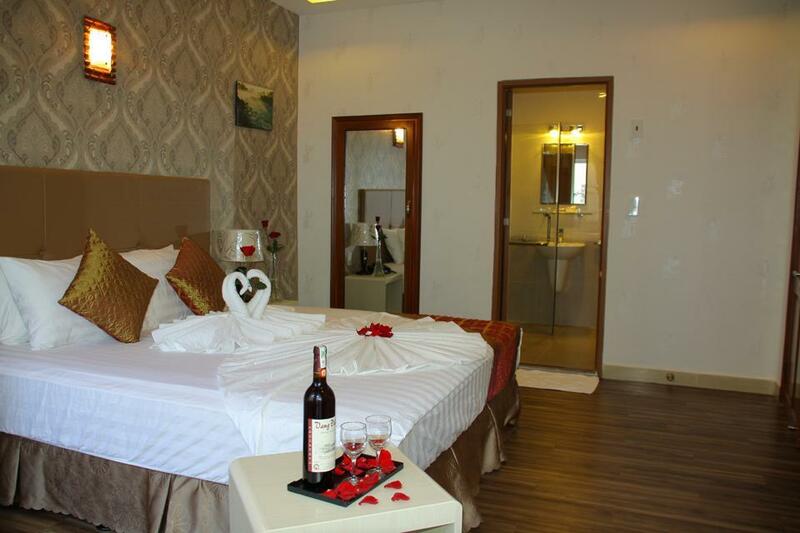 I was saying atat Dalat Venus but they were fully booked for Tet holidays. Arapang was one of few places that held the normal price . So I cannot complain. Room could have been a little cleaner but all the main facilities were there, a little on the old side. Staff friendly. I was able to check in a little early. I didn't mind the place - only needed a room to sleep and store stuff. I will consider staying there again. The room have only 1 power socket and it’s far from bed, so i have to plug all my electronic devices and place it on the floor for charging. Bathroom door not able to lock nor ledge. We rented a Bike for a day, but just as we ride round the corner of the street the rear tire blow, we had to search around for repair shop. To our surprise the tire have been patch 4 times before so we decided to change the inner tube thinking the hotel will reimburse us later. Guess what, it didn’t happen. We pay full price for the rental and they get free new tire inner tube without reimburse us. Other then this, everything else is fine. But i will not return to this hotel again. I don’t think that’s the right way to do business. Everything is OK but price is not reasonale in festival day. Need to improve to compare with others which are next to yours. 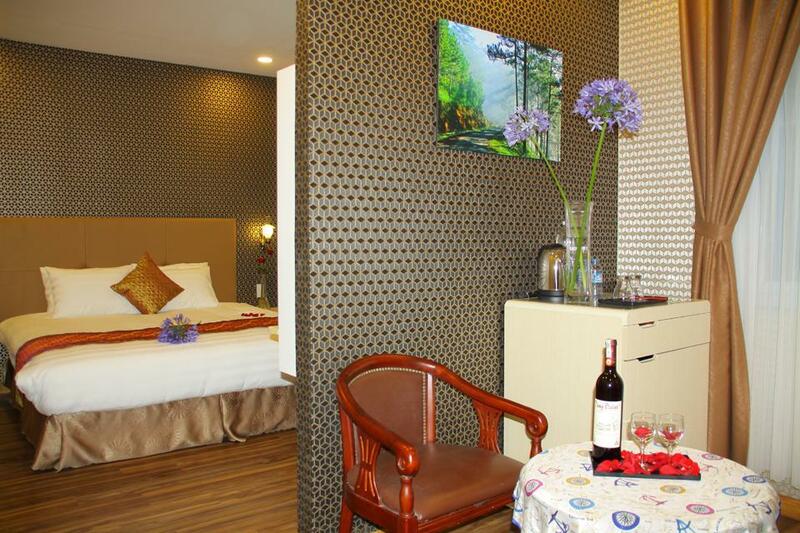 Convenient location, 5mins walk to Dalat Market and easy access to food and amenities. Overall pleasant 2 nights stay, would have given them a higher rating if they have acceded to my request for a higher floor room. Unfriendly receptionist. Charge much extra fee for arriving soon. 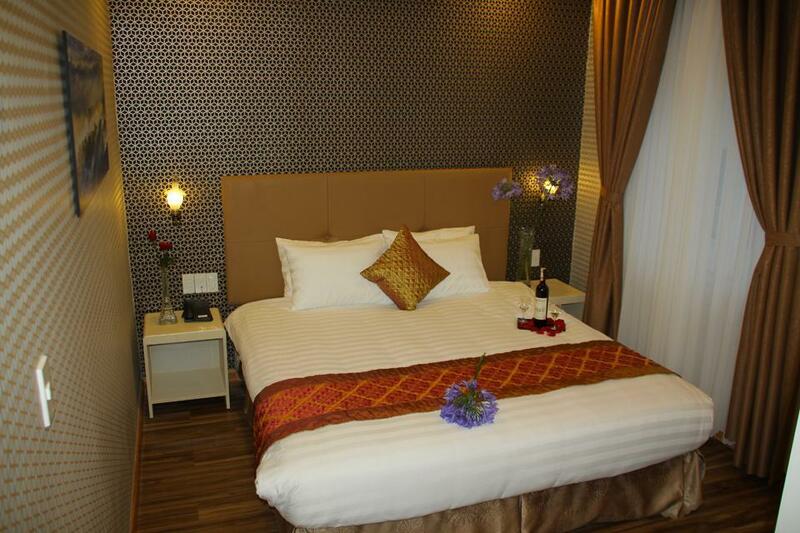 Forget about this hotel if you cannot speak Vietnamese. They cannot speak English and cannot explain what happen to my booking. It is within 10 mins to the night market. 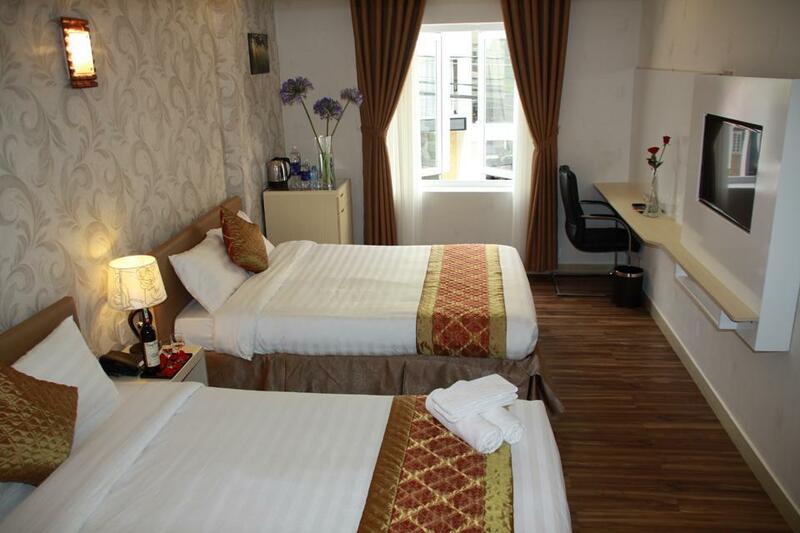 Rooms were nice and cleaned daily. The bed was comfortable! Would be nice if the room had a fan as it doesn't always cool down enough at night. We booked a shuttle bus to the airport and were told by a girl at the front desk that we were going to be picked up at our hotel at 7am the following day. The shuttle never arrived and the staff (different than the one who booked it) put us on the phone with the shuttle bus who said we were supposed to meet them at the bus station and the bus had already left. The hotels solution was for us to take a cab that they drove themselves at full price to the airport - Not a good way to solve a mistake ! Left us with a bitter feeling after what was previously an excellent stay ! 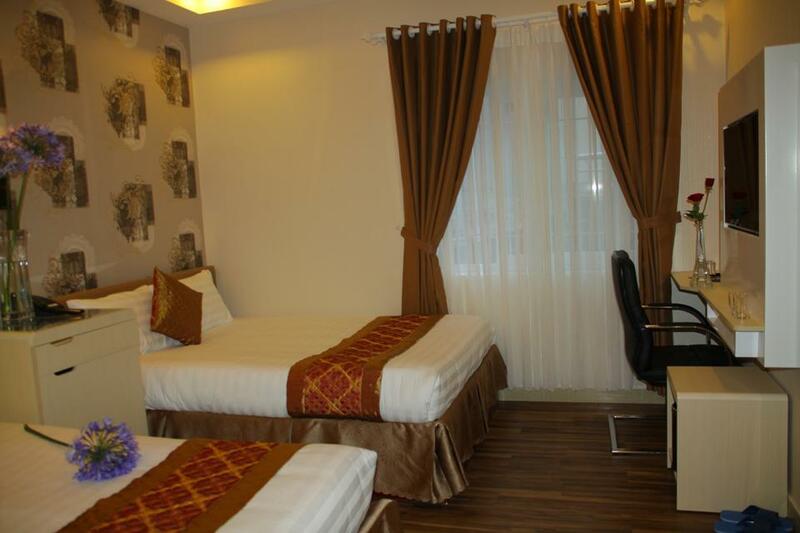 This hotel is in a great spot, walking distance from restaurants etc 5-10 minutes, but far enough away so that there is no traffic noise, room was good, shower was great the standard room is a little cosy but the bed was great....softest yet, also the best internet we have so far had in Vietnam, the receptionist is really nice and very helpful the only downside was the owner or manager ( wasn't sure which as he spoke no English) smoked inside the hotel lobby and it wafted up the stairs and into our room 😞 But when my husband went down to ask him to stop it was no problem and he stopped immediately and did not smoke in the lobby again while we were there,great little hotel in great quiet area that was unknown! Ưu: - Giá rẻ, tiện nghi có bồn tắm, nước uống và đồ ăn đặt phòng đầy đủ. - wifi ổn định - Gần chợ, đi bộ khoảng 5p là tới. - Gần quán cf, tiệm bánh, tiệm ăn nổi tiếng cũng như nhà hàng và các cửa hàng ăn nhỏ. Nhược: - Nhân viên tiết kiệm lời nói và ít khi cười. Σταθμός Λεωφορείων Dalat στα 1.92 χλμ.